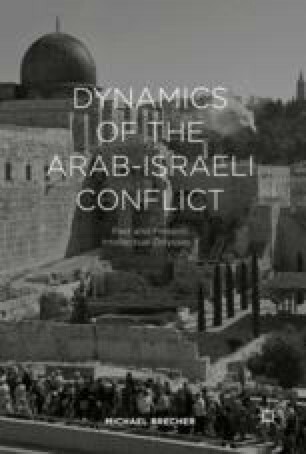 This chapter explores Arab perceptions of Israel, the Palestinians, and the Arab–Israel conflict held by several senior Egyptian officials—the National Security Advisor to Presidents Sadat and Mubarak, and the Minister of State for Foreign Affairs, who later served as UN Secretary-General—and half a dozen Egyptian intellectuals, most associated with Egypt’s respected think tank, the Al-Ahram Center for Political and Strategic Studies. Its relevance more than four decades later is that, while both officials and intellectuals were critical of Israel’s behavior in the conflict, all expressed attitudes that clearly presaged, in 1975, attitudes that became evident in Sadat’s courageous visit to Jerusalem in 1977 to address Israel’s parliament and to launch into preliminary negotiations with Prime Minister Begin. Two years later, the first Arab–Israel peace agreement was signed.